Gucci Mane is not the same man that he was a decade ago. When we were first introduced to the Atlanta rapper, he was a chubby dude with hard flows and an ice cream cone tattooed on his face. Today, he's absolutely ripped, happily married and still has an ice cream cone tattooed on his face. 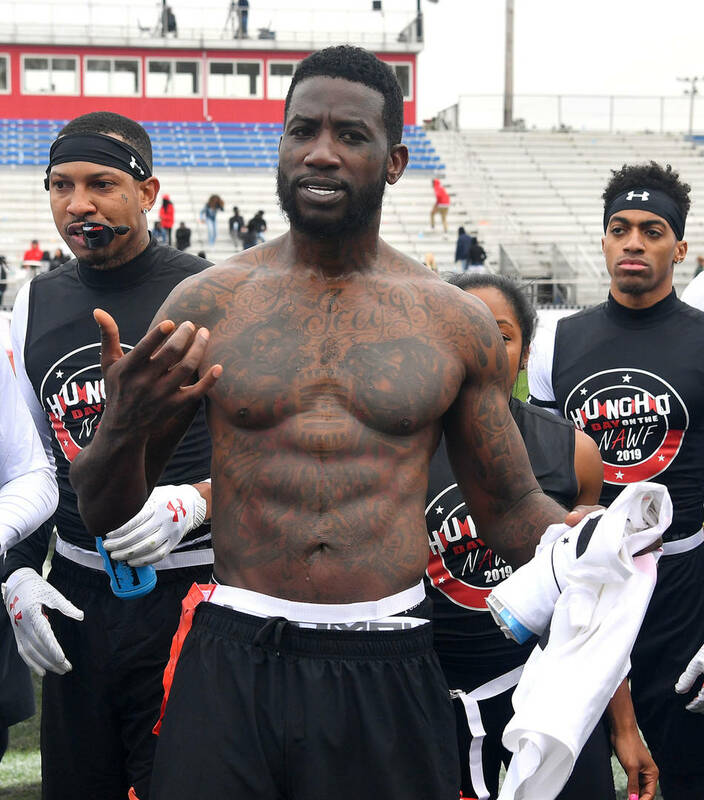 While some things have remained constant, Guwop has worked hard to improve himself and he loves to remind us all of how hard he's worked to get to this point. After being released from prison a few years ago, the rapper's transformation was so drastic that people seriously believed that the new Gucci was a clone. He joked about it in a few of his songs but truly, all it took was a change in his mentality for him to get to where he wanted. In a new series of photos, the Wopster showed off just how different he looks side-by-side with his old self. Labelling the shot as a true "TBT," Gucci Mane shared a side-by-side comparison of himself a few years ago and him today. In the "before" shot, Wop has a bit of a belly, keeping some baby fat on his face as well. By no means is he overweight in the first photo but he does look a little out of shape. The picture on the right is intense though, showcasing the rapper's sculpted abdomen and his slimmer face. He's clearly proud of the work that he's put in over the years, writing: "Look at me then! Look At me Now!!" Some things have not changed. Gucci Mane's smile is still bright as ever and his music is still fire so, for that, we thank him.